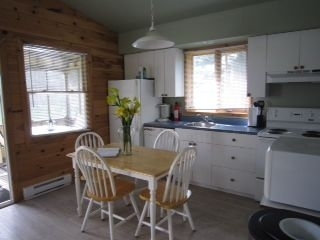 Beautiful 3 bedroom cottage which is very cozy. 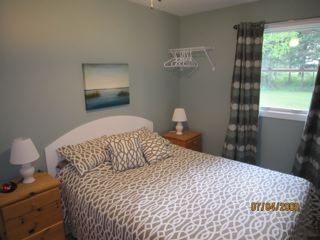 Has a master bedroom with a queen bed along with a double bed in another room and 2 single beds in the 3rd. 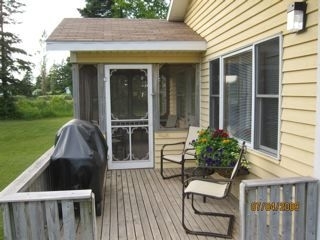 included is a very large wrap around deck which has a screened in area. 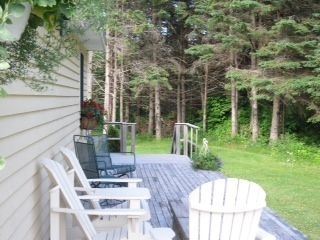 Deck is positioned so that you have sun on the deck from sunrise to sunset. Also is Fully furnished. 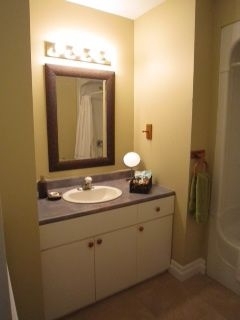 There is a dishwasher along with a fully equipped kitchen including a coffeemaker. Washer/Dryer with a clothesline coming off the deck. 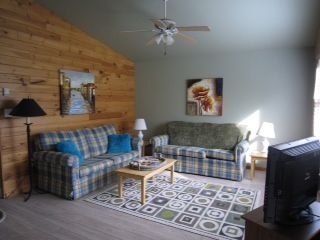 The deck is very private with a screened in porch, equipped with a new BBQ and patio furniture. 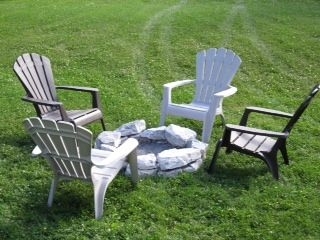 The large Rolling lawn also has a fire-pit for late night campfires. in the master bedroom there is a queen bed, a double in the other, and 2 single in the last (kids room). 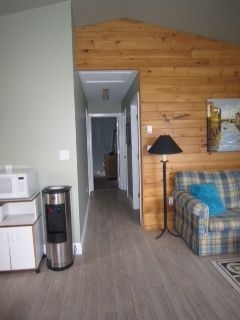 Cottage is only 5 mins from a number of beaches and a drivers length from the 1st tee of Stanhope Golf & Country Club. Also included is a National Park Pass which grants you access to the Park and beaches free of charge for your entire stay.